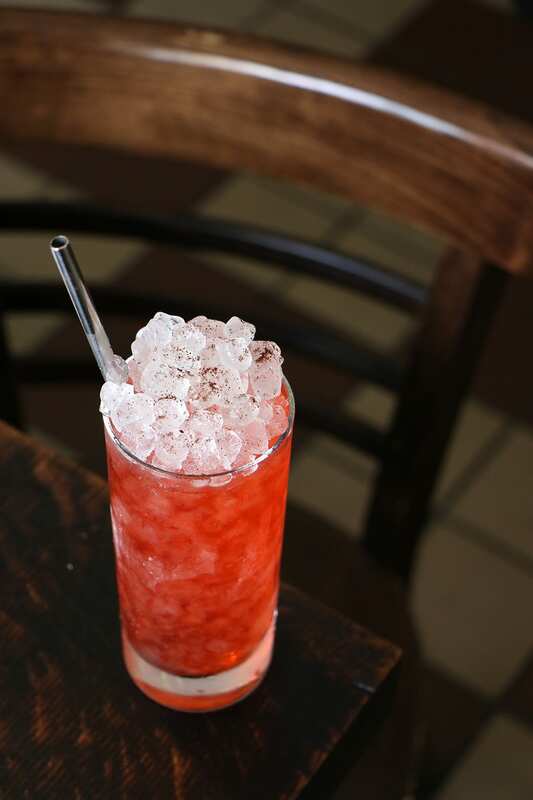 The Negroni Royale uses Champagne to add sparkle to Campari and sweet vermouth. | Photo by Emma Janzen. Most of the Negroni Sessions cocktails are batched and bottled for quick service. | Photo by Emma Janzen. The Negroni Coffee Swizzle features mezcal, Martini Ambrato, Meletti Bitter and cold brew. | Photo by Emma Janzen. 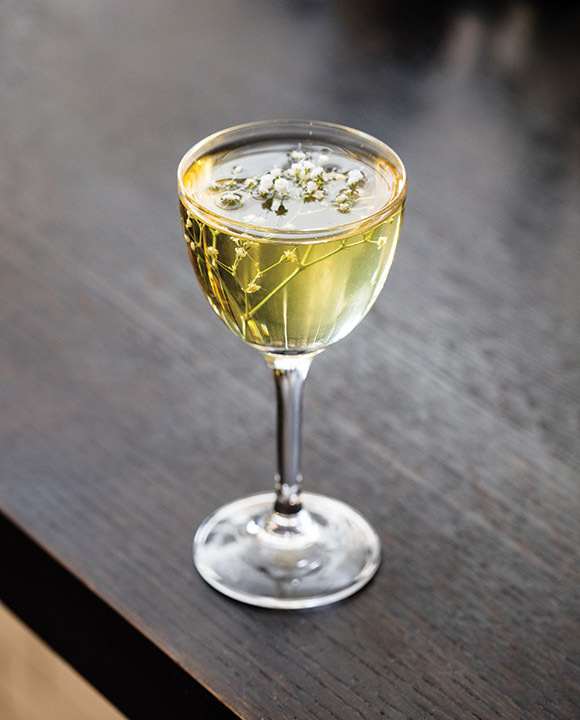 The Negroni Bianco features gin, Bianco vermouth, dry vermouth, Quinaquina, verjus and lemon bitters. | Photo by Eric Medsker. London Dry gin meets Meletti bitter, sweet vermouth and orange juice in the Negroni Frappe. | Photo courtesy of Dante. 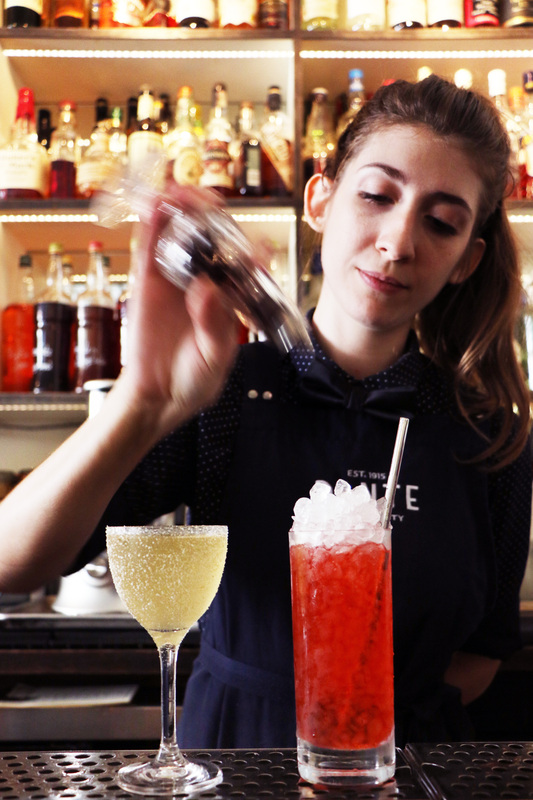 Bartender Ana Lobo prepares a few Negroni Sessions cocktails. | Photo by Emma Janzen. 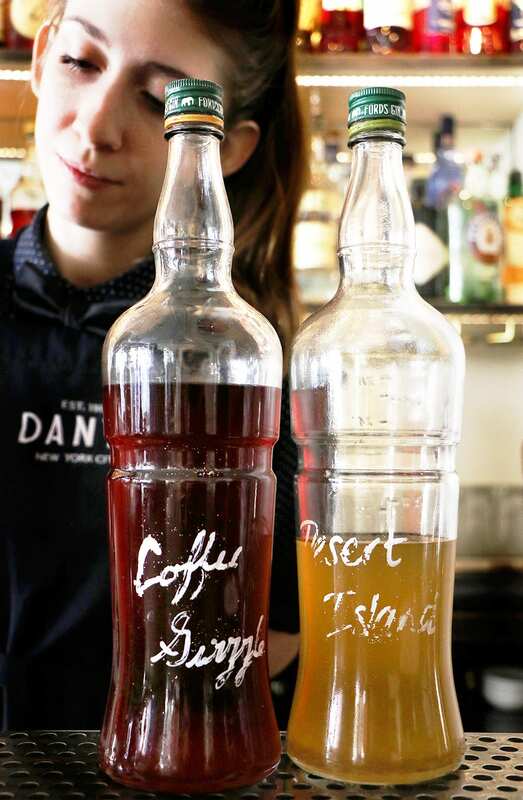 The seasonal cocktail on offer right now is the Desert Island Negroni, with Old Tom, Cocchi Americano infused with mango tea, Luxardo Bitter Bianco infused with freeze dried mango, mango vinegar and saline solution. | Photo by Emma Janzen. 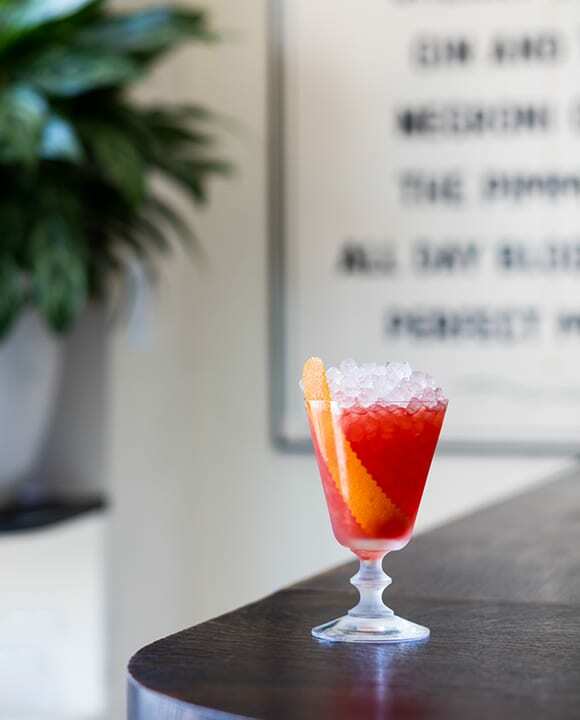 The Negroni Sessions menu launched a few months after opening, and it quickly became a signature offering at the bar. “We love Negronis, so the more we started to explore it, the more we realized how vast this category was and how the platform for what a Negroni is could be changed and spun,” Young says. “So we created a Negroni family tree of sorts—a chronology of where the Negroni has come from, from the early days of the Americano to the Boulevardier and Sbagliato. 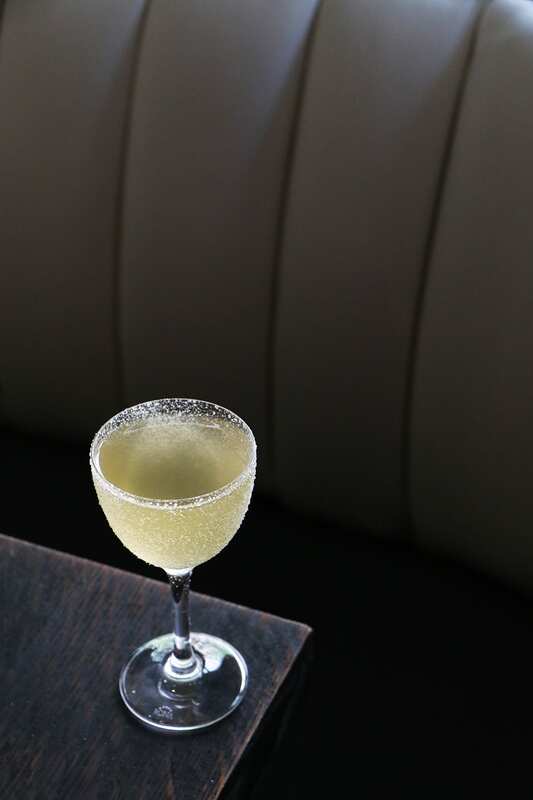 Then we mix that with some of our own modern interpretations,” like the Negroni Frappe and Negroni Bianco. To help pay it forward, $1 from every Negroni Sessions cocktail always goes to God’s Love We Deliver, which provides healthy meals for men, women and children living with HIV/AIDS, cancer and other serious illnesses. 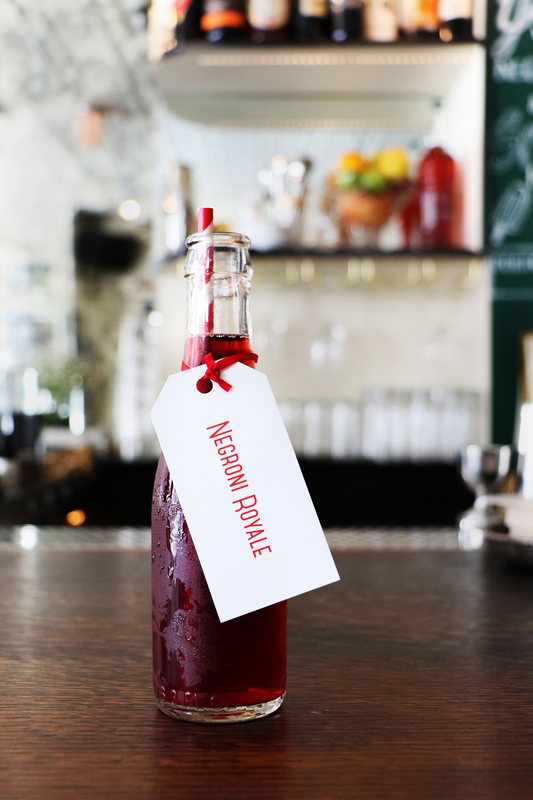 “Consider that we sell around 1,000 Negronis a week—that’s a lot of money to give to charity. By the end of they year, we’re probably giving $60,000-80,000 to this one charity,” Young says.